The colourful doors, typical of Georgian architecture, are one of the most popular landmarks of Dublin. Elegant Georgian homes featured in Dublin starting in the early 18th century, a time of prosperity for the city. These homes were built according to strict architectural guidelines and were therefore very similar. 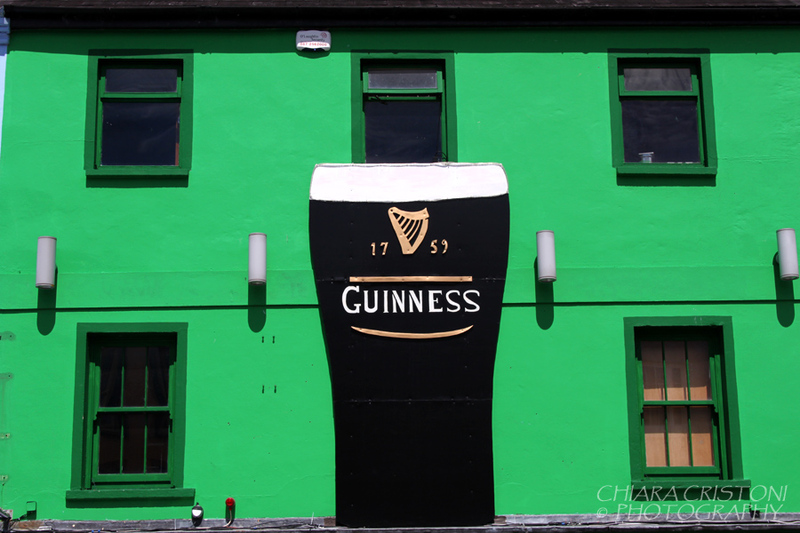 To set themselves apart, residents of Dublin started painting their front doors of different colours and adding ornate knockers, elegant fanlights and wrought iron boot scrapers. The result is the very colourful appearance of the Georgian homes! Unfortunately from the 1950’s most of these houses were demolished as part of redevelopment plans and replaced by office blocks and government buildings. 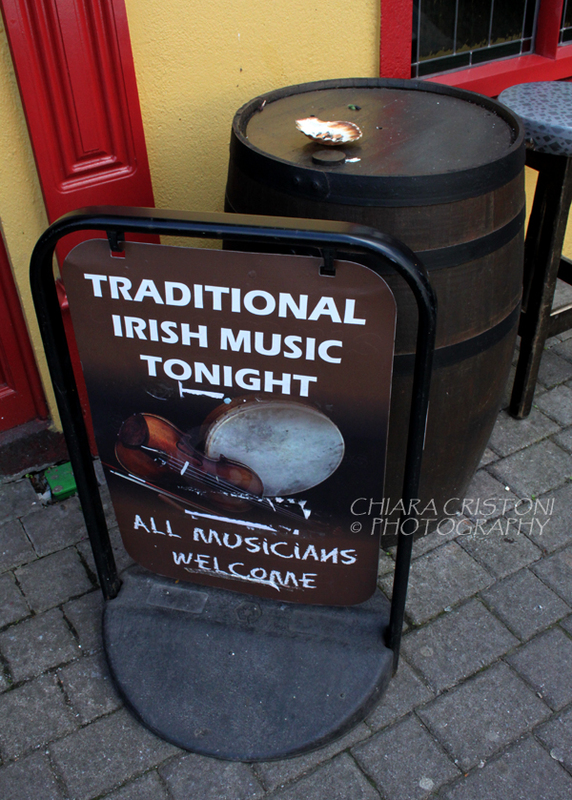 Many still remain, though, and can be seen in several neighbourhoods of Dublin. I didn’t expect to find the sun in Ireland. Ireland is green for a reason: the (very) frequent rain. I found the sun instead. 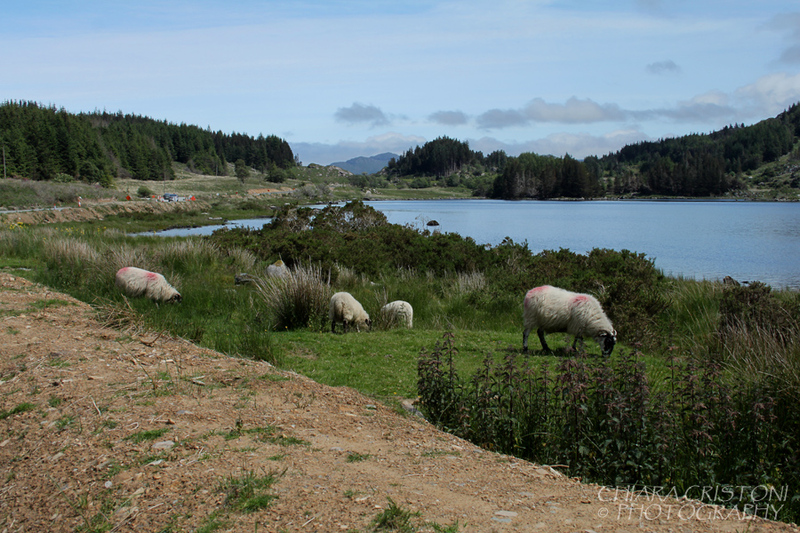 Based in southwestern Ireland for a few days, on a lovely Saturday afternoon I was taken for a drive around County Kerry to discover some of its towns and beautiful scenery. 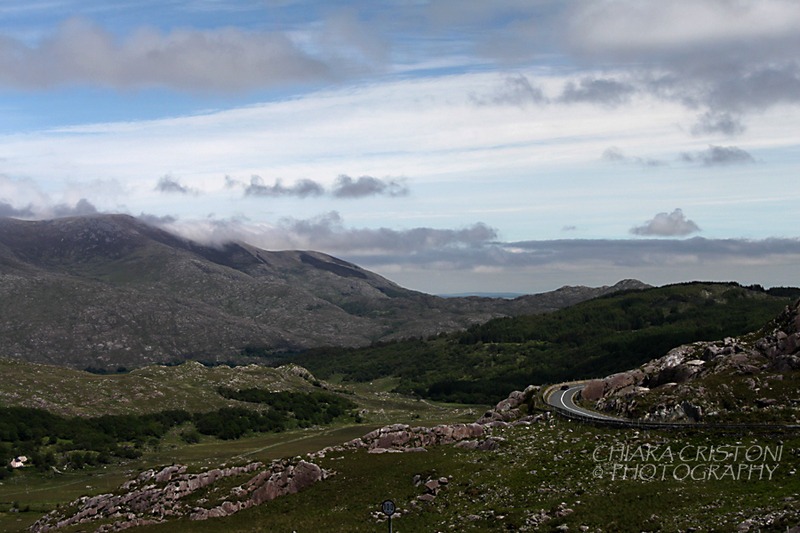 Main focus: the area around Killarney and Kenmare. 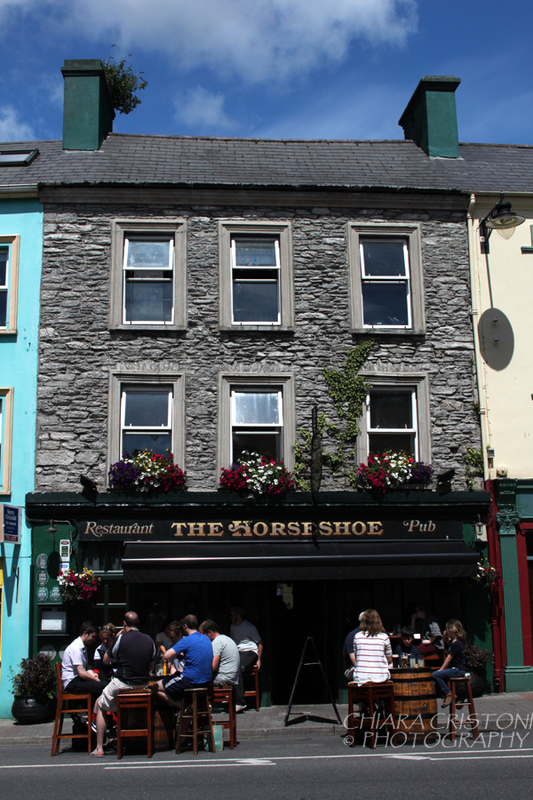 Killarney (or Cill Airne in Irish – all road signs and town names are in both English and Irish Gaelic) is a popular tourist destination in County Kerry. 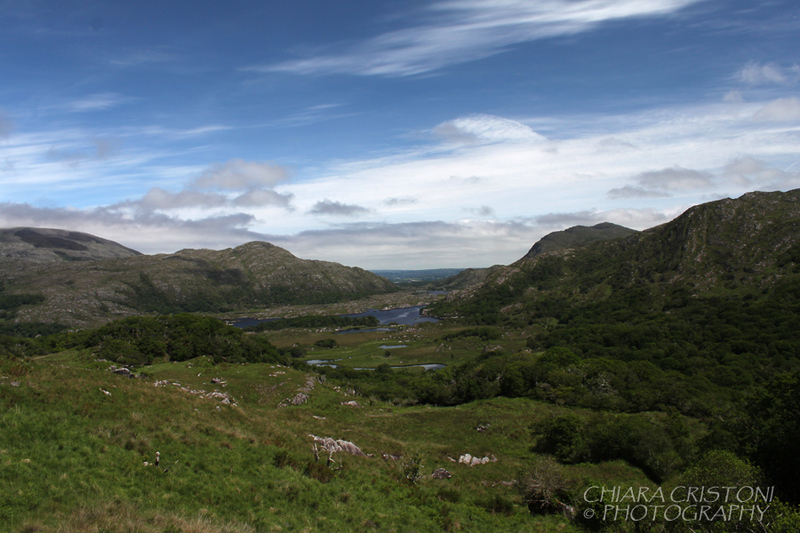 The Killarney National Park, with its beautiful scenery and opportunities for cycling and hiking, together with the region’s history, is the main attractions for tourists here. 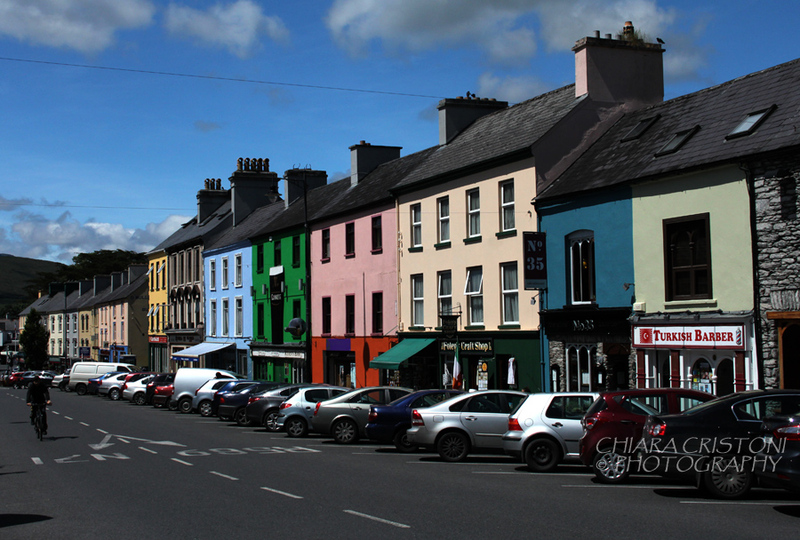 Kenmare (or An Neidín), a lovely heritage town, is also very popular with tourists and is located about 32Km from Killarney. There are several viewpoints along the N71, one of the best ones being the Ladies View: stop here for a coffee and enjoy a stroll with view over the Lakes of Killarney down in the valley! 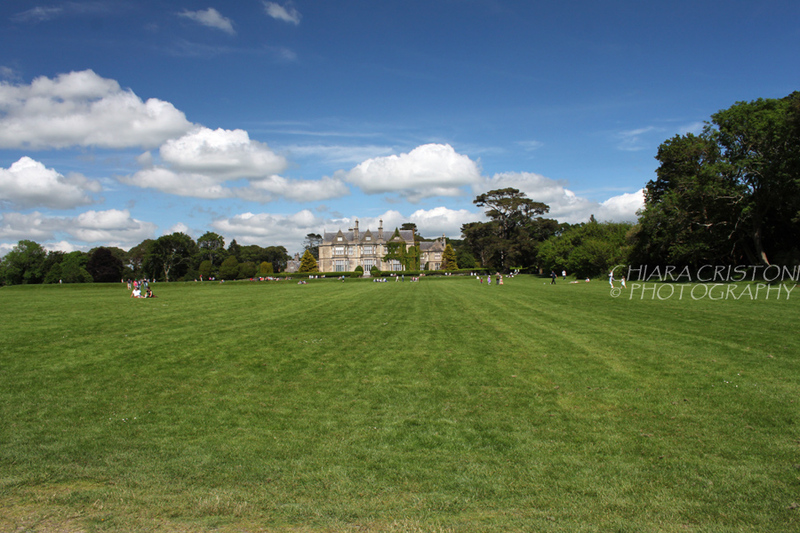 Muckross House&Gardens is another nice stop along the route. 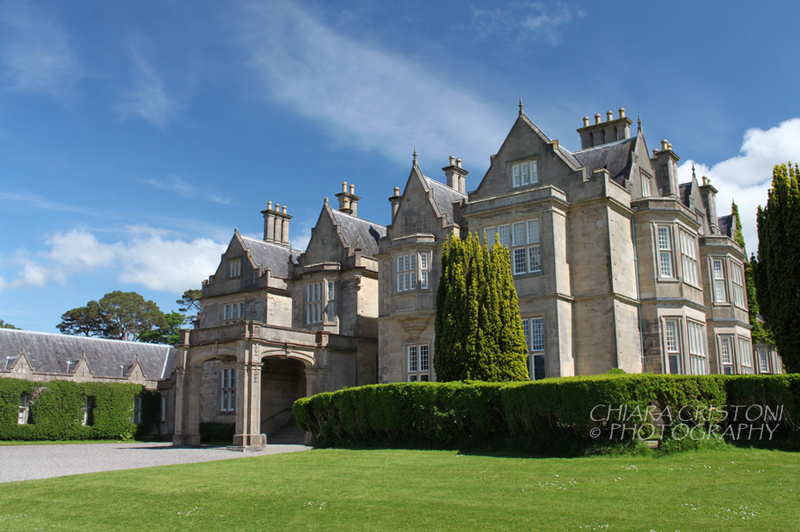 Located 6Km from Killarney, this mansion was built in 1843 and is surrounded by beautiful gardens leading to a lake. It also has traditional farms, craft shops, and cafes. On a beautiful sunny day, there is no better place where to enjoy the weather!